Rusty brown colored Aragonite Natural Crystal logs from Morocco. Nice translucent rusty brown colored Aragonite Natural Crystal "logs" from the Tozouta Mine, Sefrou Prefecture, Fes-Bouleman Region, Morocco. 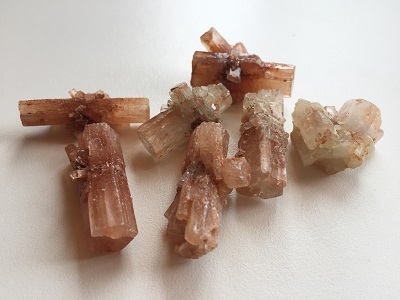 Aragonite soothing and energetic vibration helps to create confidence and provide encouragement to pursue the enjoyment of life on all levels. Aragonite teaches patience and acceptance, encourages discipline and boundaries, reliability and a pragmatic approach to life. 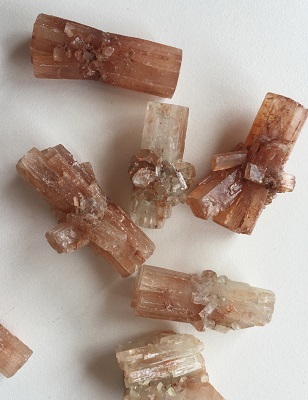 Aragonite stimulates communication with the higher planes and heightens intuition connecting thoughts with a sense of knowingness. Aragonite has the ability to center and ground physical energies. Aragonite is useful in times of stress, as it helps to combat anger and relieve emotional stress. 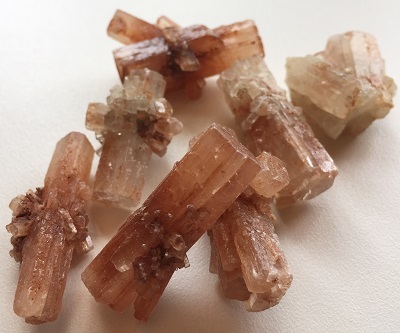 Aragonite may be helpful to identify the source of anxiety, angst, or disease linked with events from the past or that occurred during childhood. Aragonite’s soothing energetic vibrations helps to release and heal from emotional blockages. 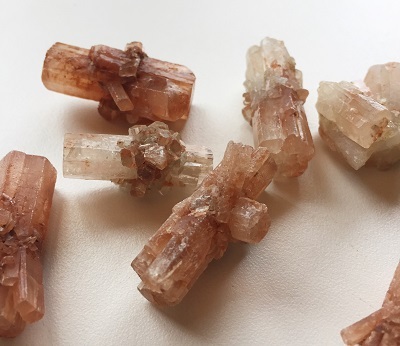 Aragonite heals, calms, and fosters love and peace in the heart space. Due to its alkaline properties, Aragonite may be warming to the extremities as it brings balancing energy throughout the body. Aragonite may be helpful in lessening pain, stopping night twitches and muscle spasms, as well as, in slowing down bodily processes that are moving too rapidly. Aragonite may be helpful in the treatment of healing bones, aiding in calcium absorption and restoring elasticity to discs. Aragonite strengthens immune system. Aragonite may also be helpful in overcoming deficiencies in vitamins A & D.